In what is becoming something of a tradition, benchmarks for an unreleased graphics card have appeared in the official Final Fantasy XV benchmarks results browser. 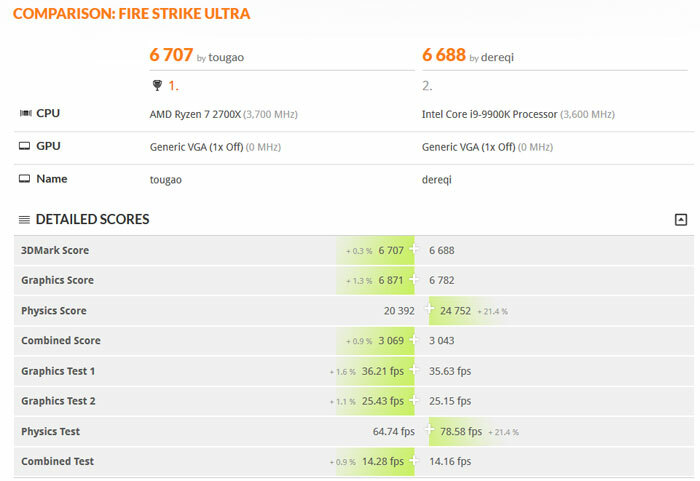 In this case the results are from the AMD Radeon VII graphics card, and you can find the results displayed within a number of 1440p and 2160p results tables here. 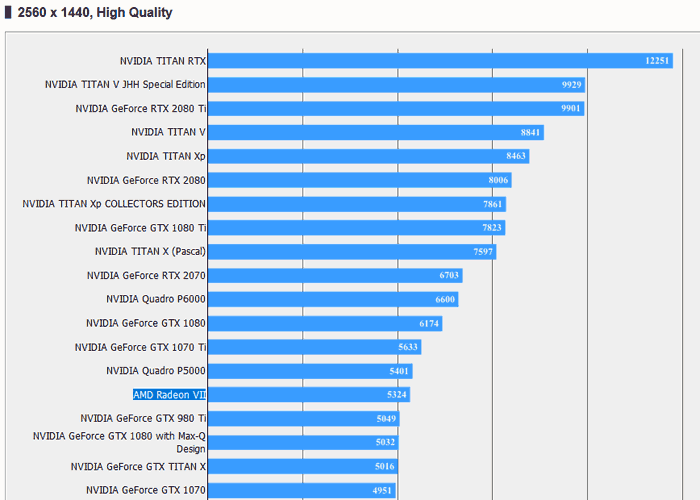 If you are looking at these FFXV results and you are perturbed at the new AMD champ's failure to compete with the Nvidia GeForce RTX 2080 (particularly in the 1440p High Quality table, partly reproduced above) then you must remember that FFXV is Nvidia GPU optimized. Square Enix's game is a GameWorks title and it is among the first games to support Turing DLSS, for example. AMD's Radeon VII fares better against the RTX 2080 in these benchmarks, with the exception of Time Spy tests. How things will play out when the release date comes, with the launch driver available, and in a variety of AAA games, tested by independent reviewers, remains to be seen. 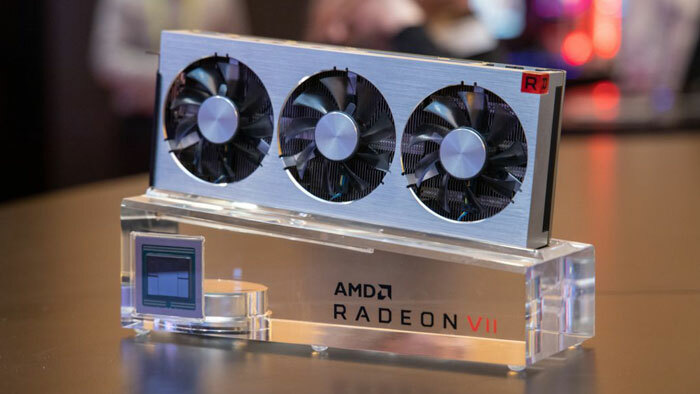 The AMD Radeon VII is scheduled for release on 7th Feb. Please stay tuned. Source: Tum Apisak on Twitter. That FFXV leak will just add nails to the Vega lineups coffin. As EvilCycle says, whether it is AMDs fault or not that it is being leaked within a horrendously biased benchmark, it will cause negative mindspace around the card! Well, let's face it, in general AMD is bogged down entirely by negative mindspace, as you put it. Enthusiasts find AMD a challenge to justify outside of raw price/perf, more work to implement and support, and the less interested mass out there understand NVidia to be “the graphics card company”, if OEMs aren't already choosing for them. I work in an office of only a few tech savvy people and every one of them is brutally Intel/NVidia biased. Worse still, they have solid anecdotal experience/reasoning for it. This FFXV bench won't do AMD any favours but it's not like this is a departure from the norm, IMHO. Not to everyone, I tend to ignore benchmarks that lean heavily in favour of one brand of card over another (as well as the games). Now if this was leaked in a balanced benchmark that doesn't favour one brand of hardware over another I'd be more concerned, but it's important to also factor in the drivers used as well. Set expectations low and then it looks better when it comes out?